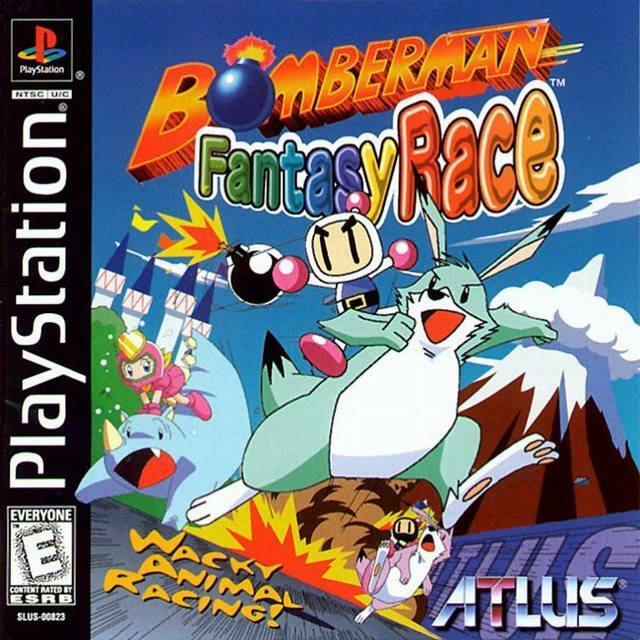 Bomberman Fantasy Land is the biggest amusement station in the entire galaxy, and every four years hosts the Fantasy Race - easily the station's biggest draw. Participants from all over the galaxy seek to take part... even Bagura, suspiciously enough. Although initially reluctant, Bomberman enrols in the race if just to keep an eye on his archnemesis. The Bomberman franchise has had a few spinoffs here and there - some puzzle games, a platformer, even a shoot-em-up cameo - but it's only now it finally hops on the mascot racing bandwagon! 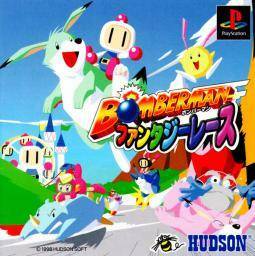 Rather than karts, the characters ride upon animals from previous Bomberman games, and the series' trademark power-ups (and curses!) are adapted for the new genre.